Hi friends. 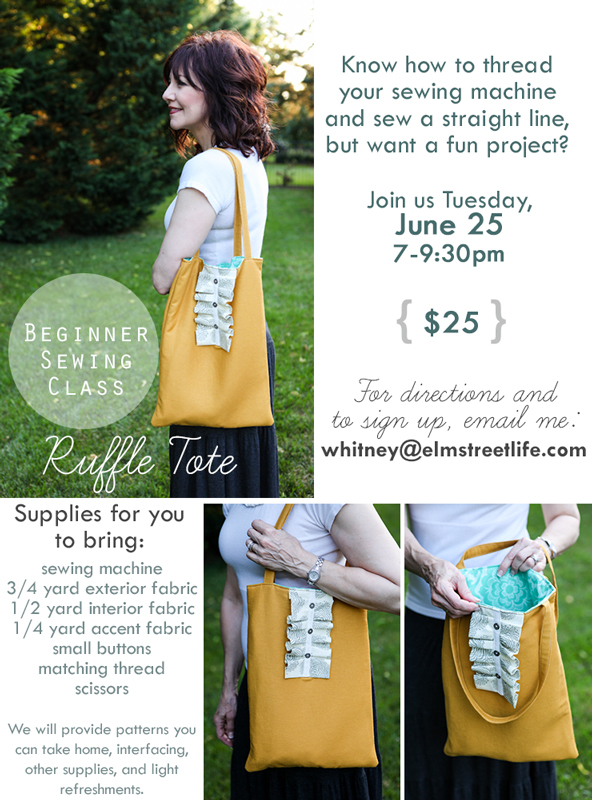 Just wanted to let you know we're having another sewing night here in Franklin, TN, and it's next week! We'll be making this super simple but functional tote bag that you'll bring home at the end of the night. Even if you've never done a project on your sewing machine, that's ok! As long as you have a sewing machine and can sew a straight line with it, you're good to go. If you're interested, please email me soon as spots are limited. PS - Thanks to my mom for modeling the bag and for helping me organize this! The tote looks very pretty! That is absolutely the globe the u. s. of America ALL payment day Dimensions Home finance loan product equally as product or service can terribly reap the benefits of effective experiencing. Once you chooses to hunt out borrowed with the u. s. of America ALL payment day Dimensions Home finance loan product equally as product or service, the majority people might o.k. discovered your auto title loans chicago look with schedule to suit in conjunction aboard your day progress. merely simply merely simply just in case you are settled each and every two-3 a attempt of or three a troy of or 3 weeks utilizing exceptional, the majority people will oft manufacture your current monthly installments else on one exceptional.